A former employee at Tesla has filed a lawsuit against the company, claiming it knowingly sold cars with defects. He is also seeking legal status as a whistleblower and claims he was dismissed in retaliation. Adam Williams, who was a Tesla regional manager in New Jersey beginning in late 2011, claims cars that had suffered serious damage requiring extensive repair were sold to consumers as used or demonstrator cars. His suit was filed under New Jersey's Conscientious Employee Protection Act (CEPA). Tesla categorically dismissed the charges. 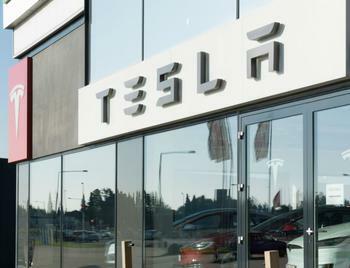 In a statement to the media, the company said there is no merit to the lawsuit, also noting that Tesla ranks highest in customer satisfaction of any car brand. Williams' lawsuit says he was terminated for reporting illegal activities by his employer and seeks protections under the state's CEPA whistleblower protections. As recently as this week, the U.S. Supreme Court refused to expand protection for employees who report illegal activities by their employers. The court held that claims must be taken directly to the Securities and Exchange Commission (SEC) in order to earn protection. The normally divided court ruled unanimously in reversing a lower court ruling against Digital Realty Trust, which fired an employee who alleged illegal activity but reported it internally and not to the SEC. Justice Ruth Bader Ginsburg, who wrote the opinion for the court, said the financial reform legislation known as Dodd Frank offers no protection to whistleblowers who only report allegations of wrongdoing within the company. In his lawsuit against Tesla, Williams argues that the state law gives him protection as a whistleblower and doesn’t require him to have taken his case to the SEC.